Sometimes life sends us an unexpected gift of a person, treatment or lesson that ends up being so transformative, you struggle for words to do justice to describe it. 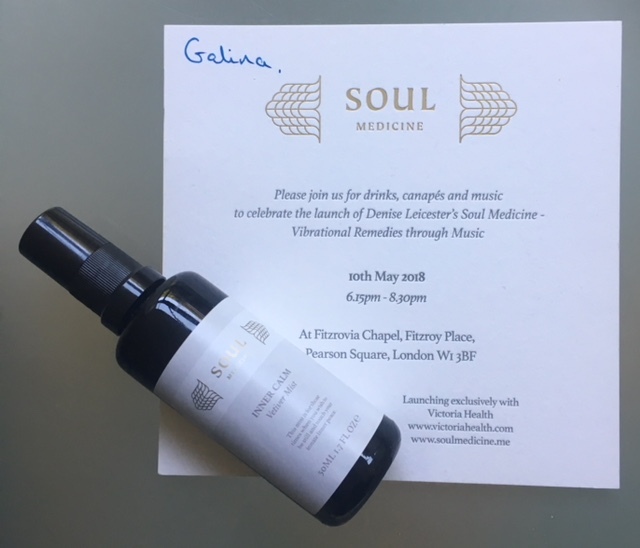 I had a pleasure of meeting Denise Leicester, founder of Ila, a little while ago, when she launched Soul Medicine. 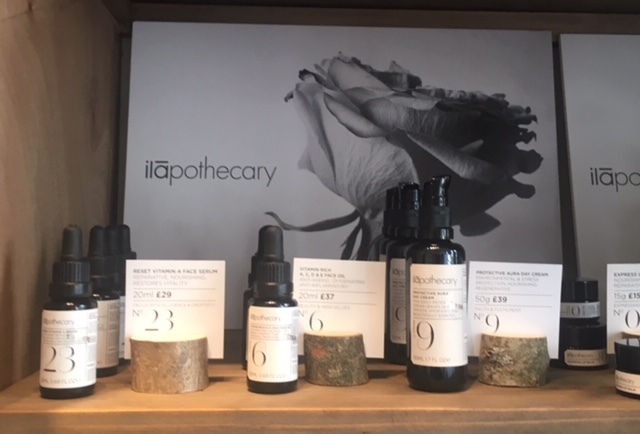 Listening to her voice and accompanying music can make even the hardened cynic well up in tears, so when news trickled in that she launched Ilapothecary, a place on Kensington Church Street – to relax, learn, have treatments and individual consultations, my wellness radar pinged up. A holistic hub based on years of learning and practical experience, a synergy of naturopathy, homeopathy, herbology and much, much more. 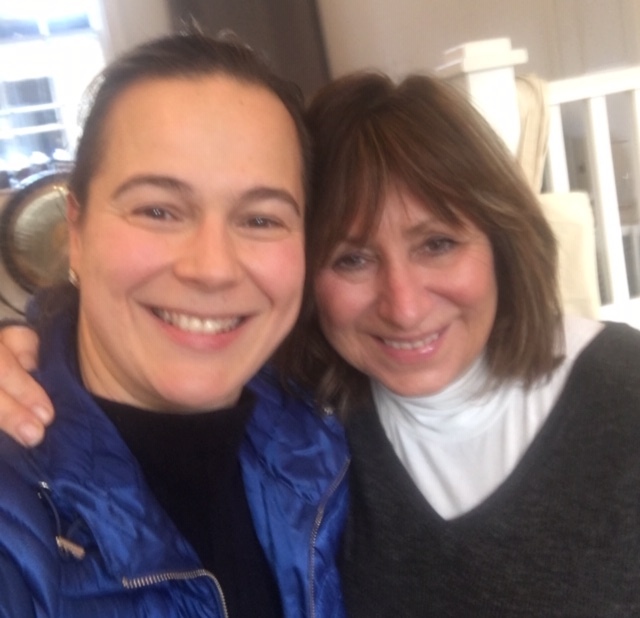 After I left Ilapothecary, having spent over two hours with Denise and Sophie Andrews, an incredibly talented practitioner of various modalities, I was so moved, I struggled to contain my emotions, searching in vain for words to describe the true depth of the experience. Now, a few weeks after my treatment, having processed the treatment and organised my thoughts, I am ready to share the insights with you. My ‘getting-to-know’ the essence of Ilapothecary started with the filling in of the questionnaire for Denise. The statements I had to answer with ‘yes’ or ‘no’ were interesting, but a bit random to my mind, ranging from ‘I sometimes feel separated from within’ to ‘I can only accept factual ideas that can be demonstrated and proven’ and ‘I have swollen ankles and feet’. Deep analysis of not just your health, but inner world and the way your mind works. I sent it off to Denise and asked for advice on the treatment she thought I would be best suited to have. Truth be told, I was drawn to quite a few of them, from reflexology, to immunity to hormones and digestion. I was delighted when Denise suggested ‘Re-Balancing Reflexology’ with a ‘Kidney Pack’. Tip: During winter, place a hot water bottle on the area where your kidneys are located, as it will help your body feel nurtured and relaxed. I was asked to arrive ten minutes early, in order to settle, discuss questionnaire and have the treatment, but life had a slightly different plan for my journey that day. Even though I left home early, Circle and District lines, unknown to me in the beginning of my journey, weren’t running as planned. I waited, got impatient and dashed out from the tube station when it became blindingly obvious that the train I needed, will arrive well after my appointment was supposed to start. A taxi driver ( not Uber!) came to the rescue and when he deposited me outside Ilapothecary, I realised that if I took the tube, I would have gone to a slightly different address to what was in my confirmation e-mail. 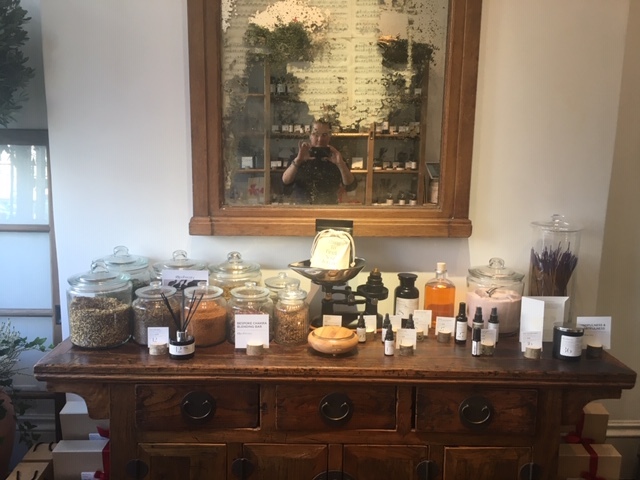 Stressed and tired, even though it was still morning, I opened the door, stepped into Ilapothecary….. and as if by magic, calm descended on me. From the moment my feet came over the threshhold. The place was sunny, warm, quiet and felt like an old, comforting friend, waiting to envelope me into a big hug. 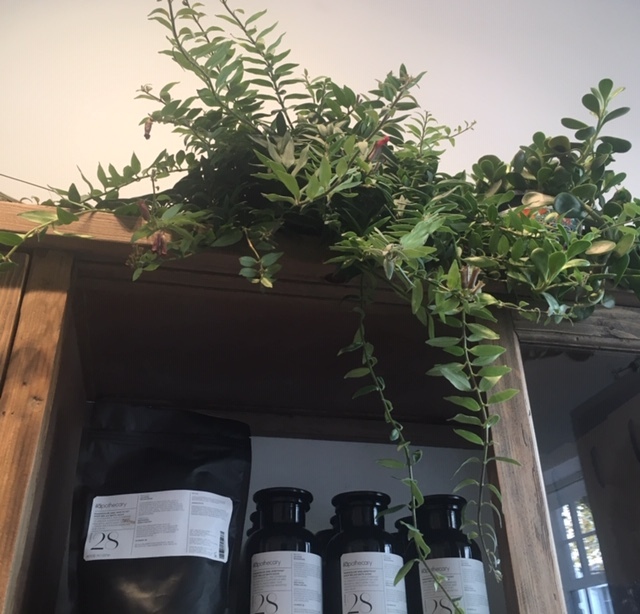 The space inside is divided into three areas – the front is dedicated to the store, with plants, jars, balms, tinctures and dry, as well as fresh, plants cleaning the air, while you peruse the selection. Its not huge in size, but its almost impossible to resist the explorer emerging to the forefront. 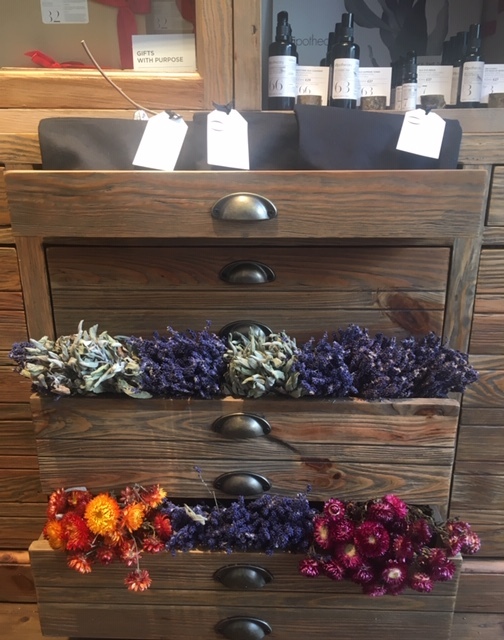 A space to browse, explore, smell, touch. To ask questions and learn. To allow your senses help make decisions for you. What beckons you in, why? What product should you try, what role does numerology play in the creation of products? Further down, up a few steps is the area where I sat down to discuss results of my questionnaire – take your shoes off, feel the wooden planks under your bare feet creaking a little under the wright, lengthen your breaths, have a cup of freshly made herbal tea, as you arrange your thoughts. Snack on a bowl of coconut chips & almonds, feeling like a guest welcomed by an indulgent and warm host. Denise, a petite, calm woman with kindly inquisitive eyes, sat at my feet and told me that the results of my questionnaire, developed together with Dr. Zulia Frost, came back as ‘balanced’. She explained the balance of chakras and elements – Earth, Water, Wood, Fire and Metal and said that instead of a ‘cleansing’ treatment, my body would benefit from ‘rejuvenation’. She offered me insights on my stress and sleep levels (spot on). Recommended walking and visualisation. Advised on doing digital detox maybe twice a week (hm, that so far has proved tricky, even with an app now giving me details of my daily time spent online). 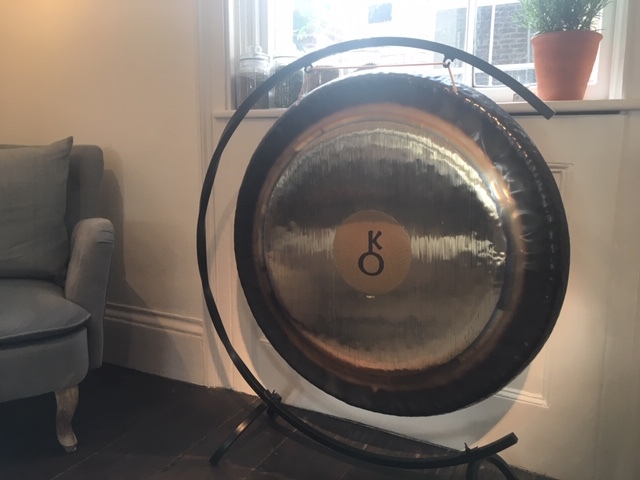 Denise is one of those people who are quietly observant and unassuming, yet she possesses vast knowledge of different professions and modalities, all of which led her down her life’s path, culminating in a way into something mesmerising – both Soul Vibrational Medicine Music and Ilapothecary. Having worked for many years as a nurse and being privy to her patients painful journeys of recovery and in some instances loss, Denise changed and transformed as both a professional, as well as a human being. Being a nurse is one of the toughest professions, as it’s not just about the knowledge and responsibility, its also the constant pressure that walks side by side with this very caring & noble profession. Having been right in the middle of it for years, baring its heavy weight on her shoulders, Denise wanted to turn her experience into something more joyful. She dreamt of creating something that will support people during the periods of transition and change and later help them lead a more balanced life. 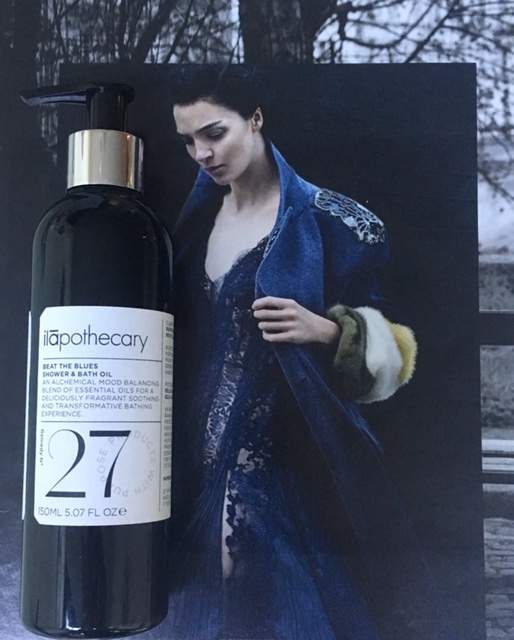 Each of Ilapothecary products not only help to make your skin and body look and feel better, they also come with in-built emotional support. For many years Denise explored the fields of homeopathy, aromatherapy, nutrition, counselling,complimentary medicine, naturopathy, formulation, Ayurveda, meditation, yoga and other disciplines. She learnt about plants and herbs, she experimented with oils, focussing on purity and potency. She worked with numerology, crystals and Native American healers. Explored the intricacies of inflammation in our bodies, as well as medicinal properties of plants, focusing on finding and creating modern natural remedies that address problems like anxiety, sleep, exhaustion & stress holistically. There is much more to Denise’s life journey than just leaving one profession and moving onto another. She faced her own sickness, which took a while to resolve, especially when traditional medicine wasn’t very helpful. Denise is also very closely attuned to the inner beat of India and it is a place that she calls her spiritual home. She studied yoga and Marma healing in Kerala, exploring subtleties of body and mind connections, chakras and energy work, doing her own spiritual work along the way, filtering her emotions and letting them inform her work. As Denise continued to change and evolve, bubbles of emotions were coming to the surface and needed to be let go with grace and reflection. Her teacher also taught her a very valuable lesson that she shared with me – in order to be well, happy and balanced, we all need to focus NOT on what’s wrong with us, but what is right, allowing that to lead us forward on our spiritual journey along life’s rollercoaster. Once Denise learn that lesson herself, her health started improving. Not surprisingly India is incredibly special to her because that positive affirmation awoke the light in her and continues to keep it burning evenly, brightly and strongly. A couple of months ago all this finally came together and Ilapothecary opened its welcoming door to the public. There is also an online store for those who can’t immediately come to visit or have a treatment in London. 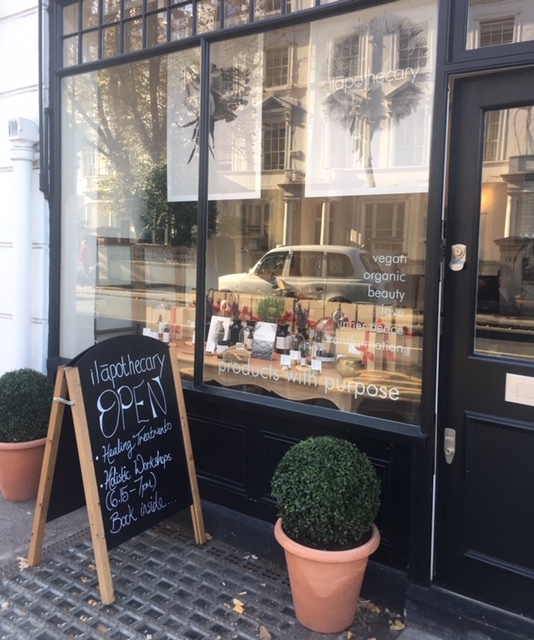 Denise works with two practitioners, Sophie and Pedro, who deliver treatments in the private room at the back of Ilapothecary, based on protocols developed by Denise, at times with their input. Sophie in particular, blonde hair and a peaceful smile on her lovely face, imparts calming vibes on you as soon as you start talking to her. 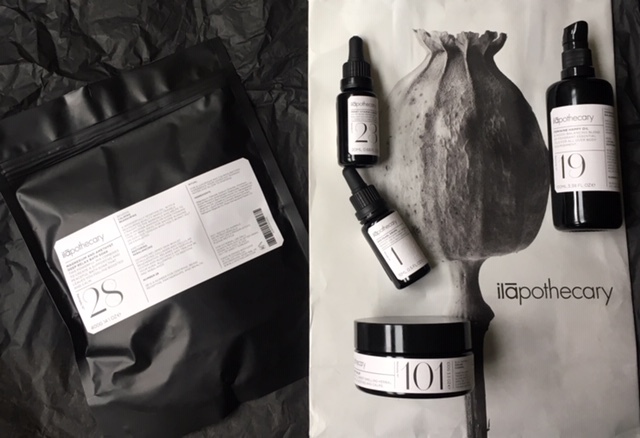 But it’s not just the protocols and products that play an important role at Ilapothecary. The labels of the products, perfectly executed in a subtle simple way, were developed by an ex-Mulberry designer. Each has a number, a name, an explanation of what it does, leading ingredients, as well as the full INCI. 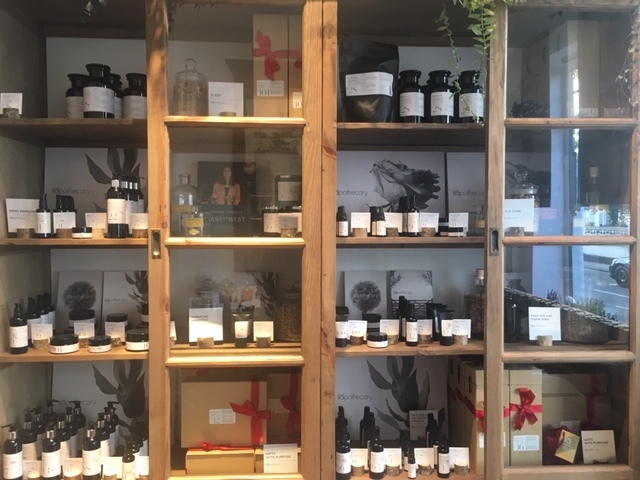 Products that can be purchased and are used during the treatments, explain the ritual behind each product, harnessing the positively healing energy of the people who craft and lovingly create them in Cotswolds, using a lot of British grown plants and herbs. Interestingly Ilapothecary is located at No. 99 on Kensington Church street and this number signifies a number of transformation according numerology. After having my first treatment there and now having used a few products ago home, I can sincerely say that indeed that is the case. If you have an open mind, are curious and ready for change, no matter big or small, those products, recommended to you, will certainly help you change the way you feel and see the bigger picture of the world. In a gentle, respectful way that feels as natural, as the warm sun shining in the summer and the moon emerging at night. Now that you know a little bit more about Denise and Ilapothecary, let me tell you about the treatment I had. 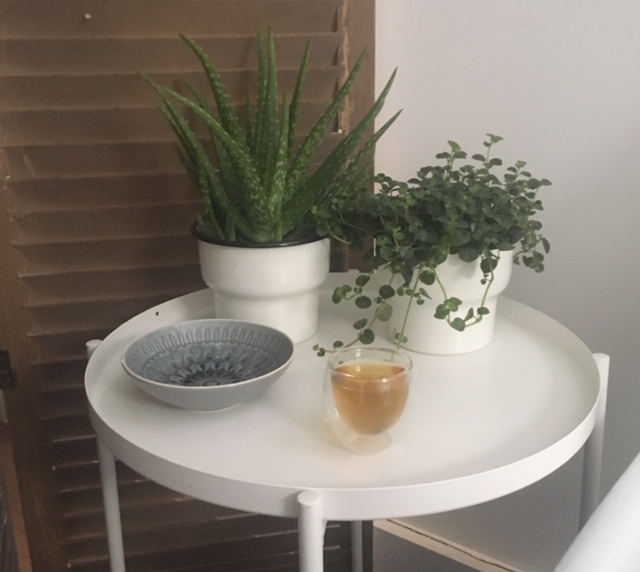 After I drank the warm herbal tea that Sophie made for me during my consultation with Denise, she took me to the treatment room that is separated from the store and relaxation area by the thick curtain that absorbs all the exterior sounds, offering your privacy, tranquility and rest. The room also has a beautiful skylight and you can see the birch trees and its branches swaying gracefully in the wind. Not many treatment rooms can boast about natural light, something that benefits not just you, but the practitioner that works on you, instead of being hidden underground or in a dark room all day long. That can affect both mood, as well as therapists own energy. Natural light in the treatment room also allows the energetic ebb and flow of seasons and hours of the day into the room, enhancing the treatment.